The best way to have a green Valentine’s Day is to make your own cards from recycled supplies. However, if you want to send oodles of cards, your child needs several for school, or you need lots of party invitations, your next best bet is to purchase recycled Valentine’s Day cards. With Valentine’s Day just around the corner, it’s a good thing that Tiny*Prints is offering an adorable assortment of Valentine’s Day goodies made with recycled stock like the Cute Chirp photo card above… and all the cards are available for super speedy shipping… you’ll have your love notes in about four days. 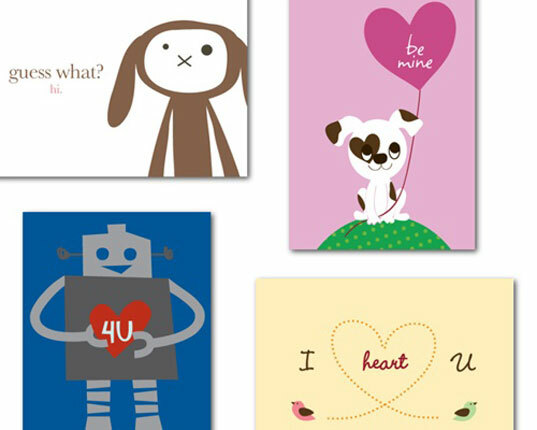 For the kiddos, see Tiny*Prints’ cute Eco-Friendly Valentine’s Day Kids’ Cards – great for school or for a little one to give to grandparents. Designs shown above include, Cuddle Bunny, Doggy Divine, Technically Smitten, and Happy Hummingbirds. Many more designs are available, and all the text on these cards can be customized. 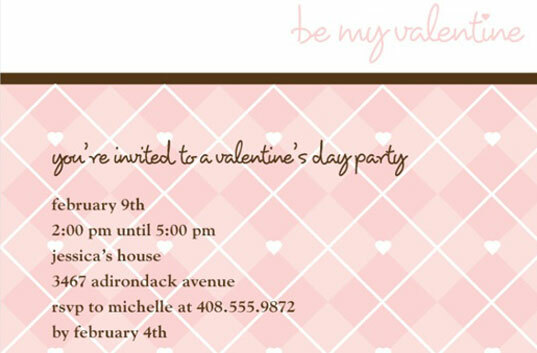 For fun Valentine’s party fare, take a look at all the special Eco-Friendly Valentine’s Day Party Invitations. Tiny*Prints’ has flat and folded style invites for sweet and fun kid’s parties or styles that suit a more modern adult get-together. Shown above is Adorable Argyle. Are you and your kids making or buying Valentine’s Day cards this year? Let us know in the comments. Very cute. I love the designs and that they are easy on the Earth. Posted your link in our forums. I love Tiny Prints - they have such great stuff! The best way to have a green Valentine's Day is to make your own cards from recycled supplies. However, if you want to send oodles of cards, your child needs several for school, or you need lots of party invitations, your next best bet is to purchase recycled Valentine's Day cards. With Valentine's Day just around the corner, it's a good thing that Tiny*Prints is offering an adorable assortment of Valentine's Day goodies made with recycled stock like the Cute Chirp photo card above... and all the cards are available for super speedy shipping... you'll have your love notes in about four days.